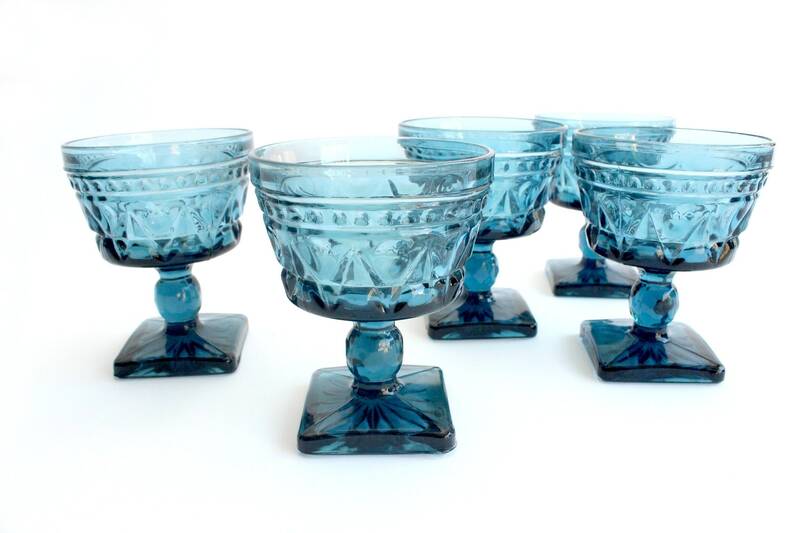 Set of 5 - Vintage glass ice cream cups. 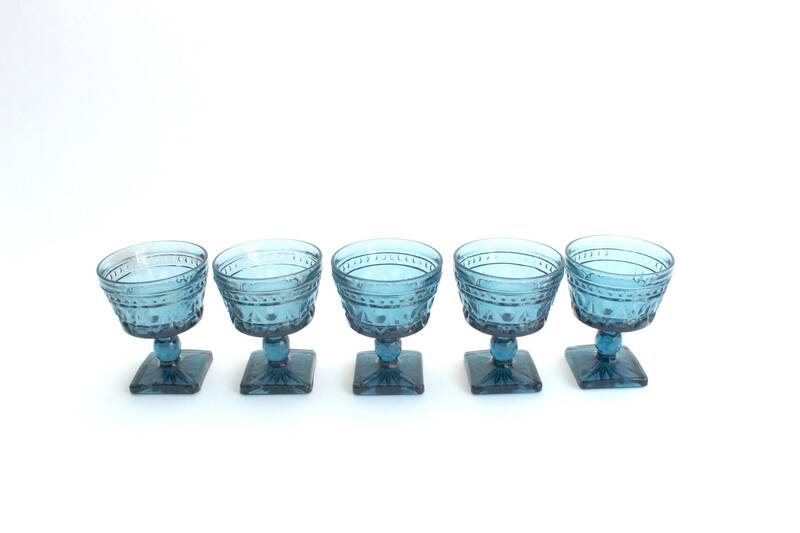 Small blue pressed glass cups. 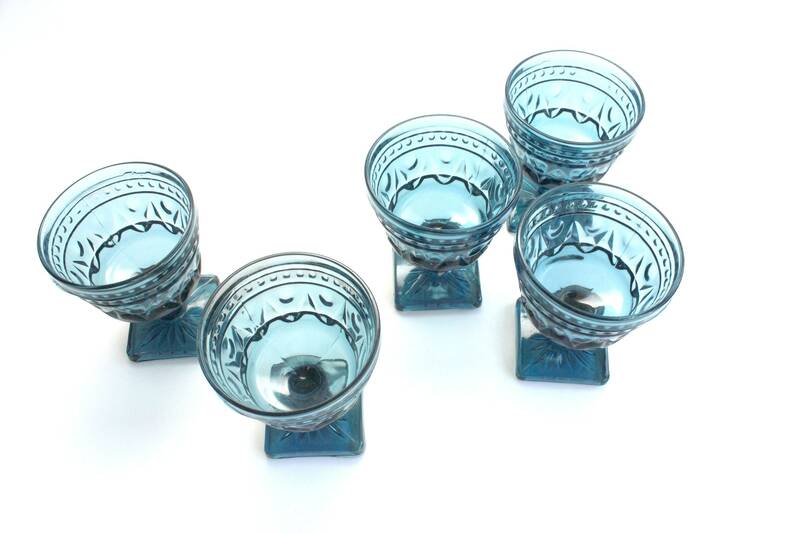 Round bowl with a square shaped pedestal style base. Lovely pattern! 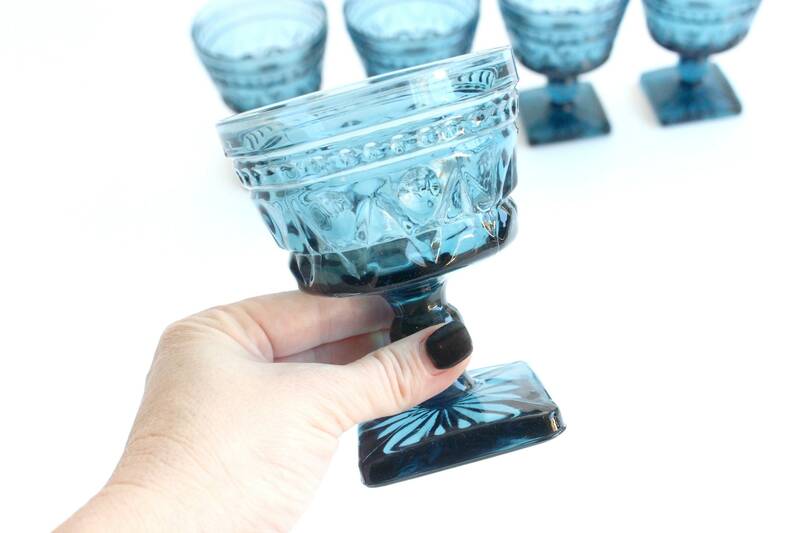 Perfect for serving desserts! 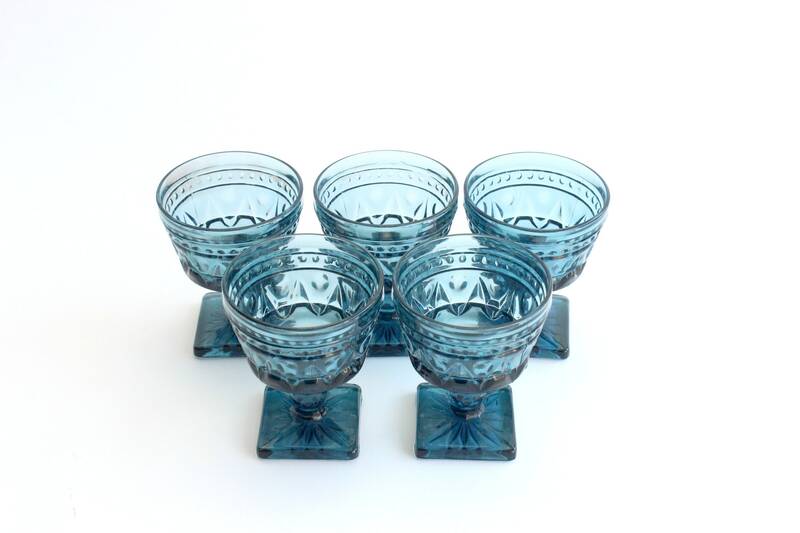 Each glass measures 3.5 inches wide and 4.25 inches tall.